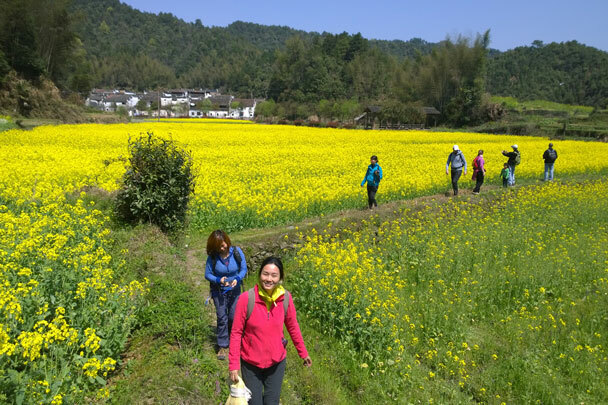 In Brief: See a set of 30+ photos from a trip to hike the fields of flowers in Wuyuan, Jiangxi Province. 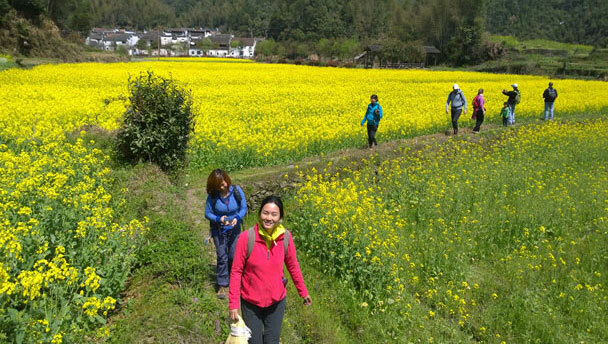 Hiking through the fields of flowers outside a village in Wuyuan. 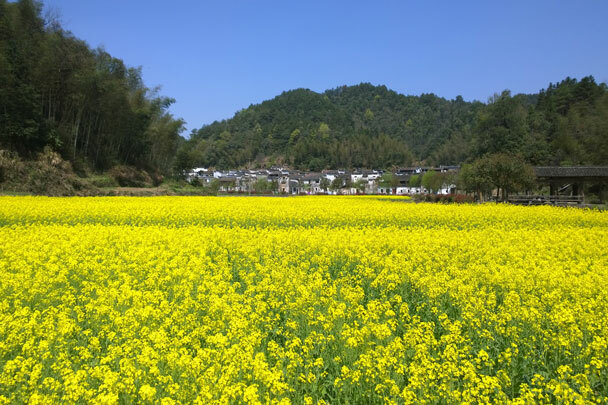 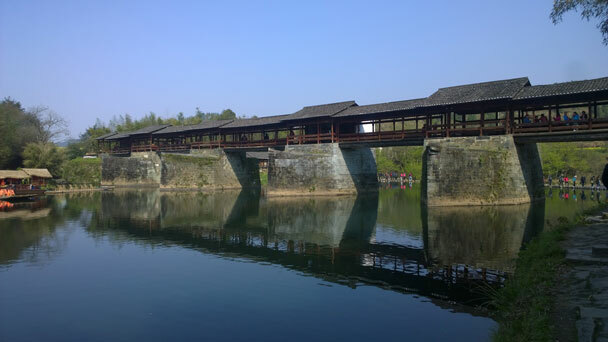 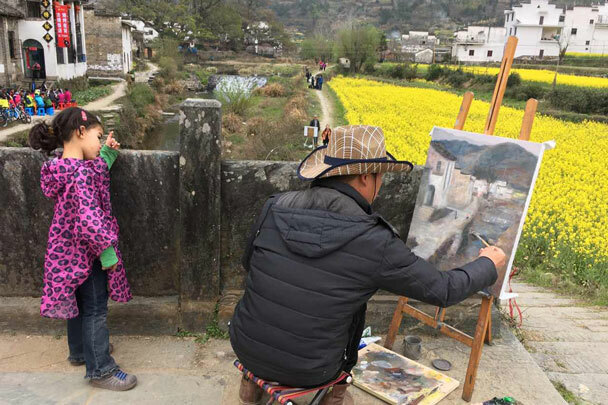 We spent four days in Jiangxi Province, visiting southern-style ancient villages and hiking through their terraced fields of rapeseed flowers. 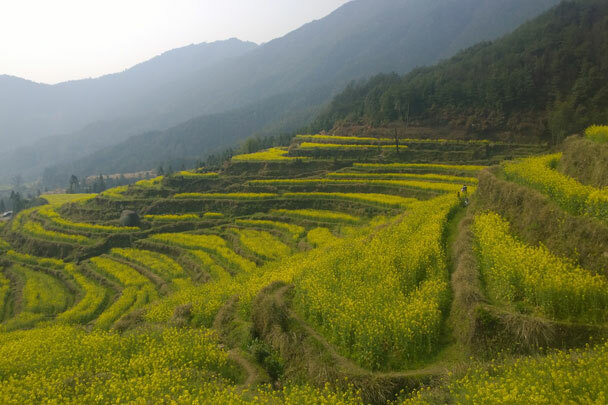 The trip was timed for the flowering of the fields, and the scenery was beautiful indeed. 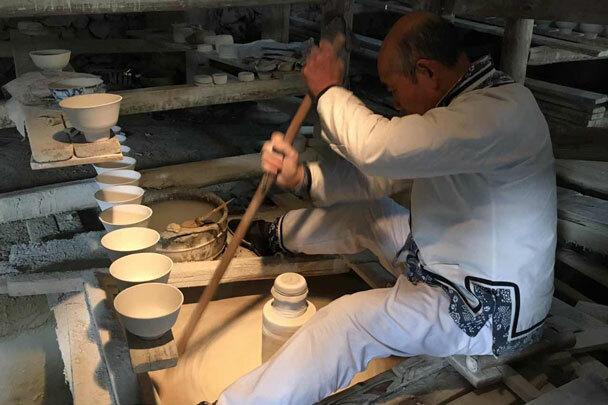 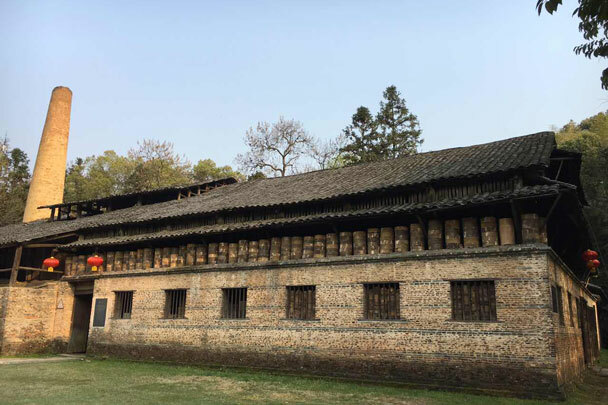 We finished the trip with a visit to Jingdezhen, Jiangxi’s capital, where we visited an ancient kiln museum, where porcelain wares have been made by expert artisans for centuries. 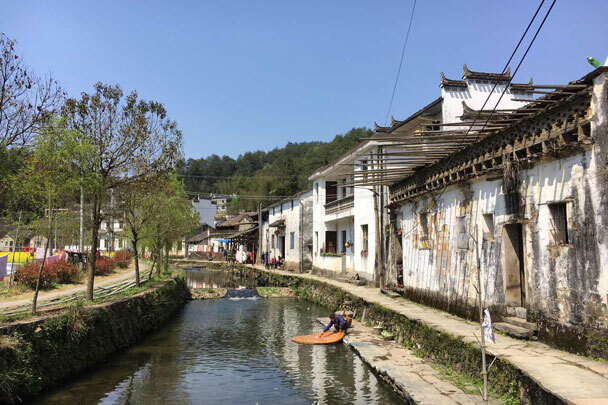 A canal runs through a village in Wuyuan. 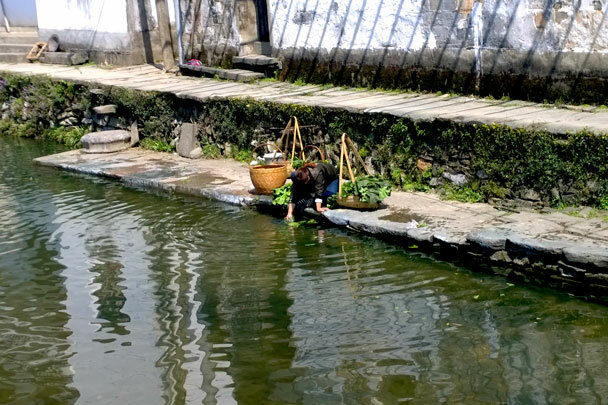 Washing vegetables in the canal. 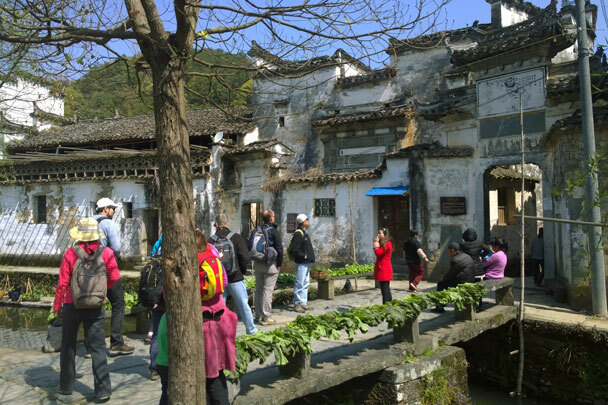 We had a guided tour of the village, taking in the architectural highlights. 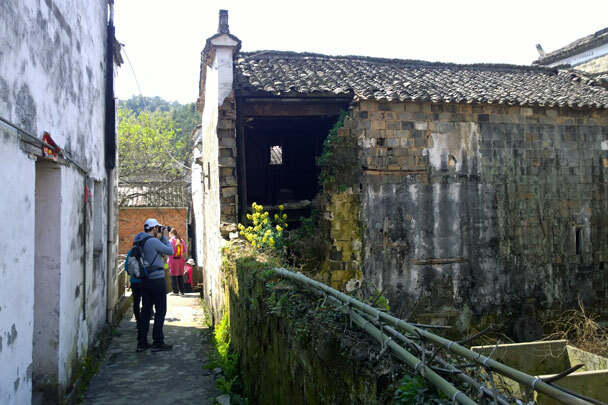 An abandoned house in the village. 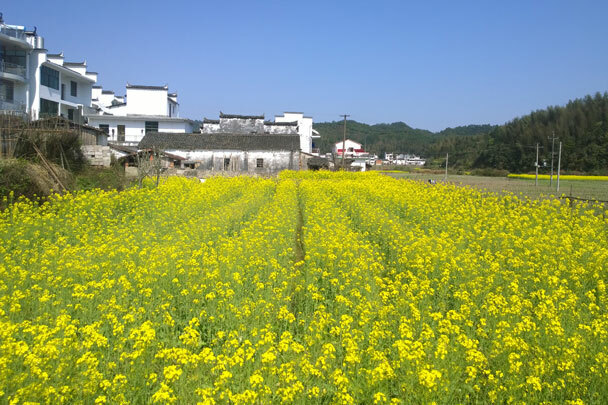 Rapeseed flowering behind the village. 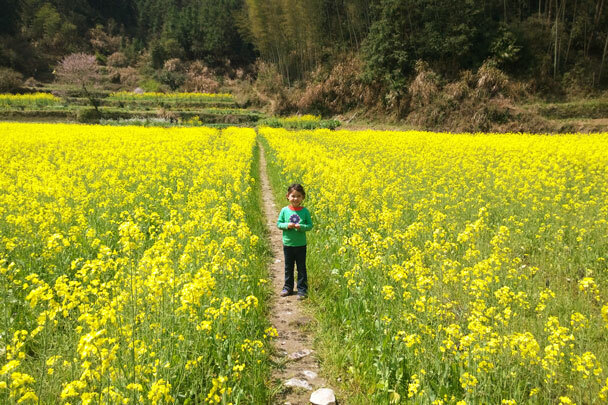 Our youngest hiker in the midst of the flowers. 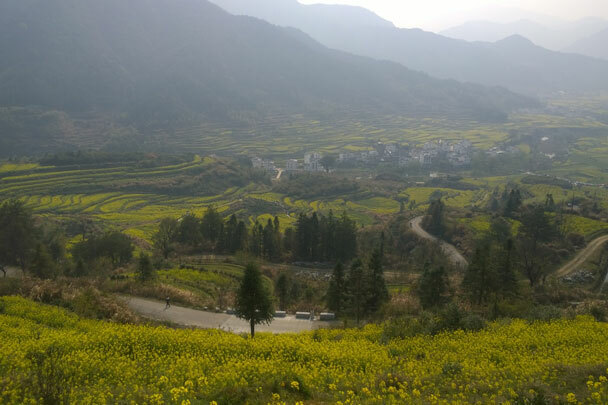 We took a hike around the village. 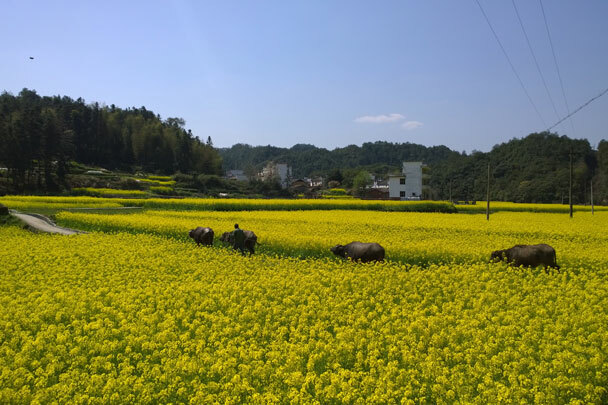 A villager and his water buffaloes in the fields. 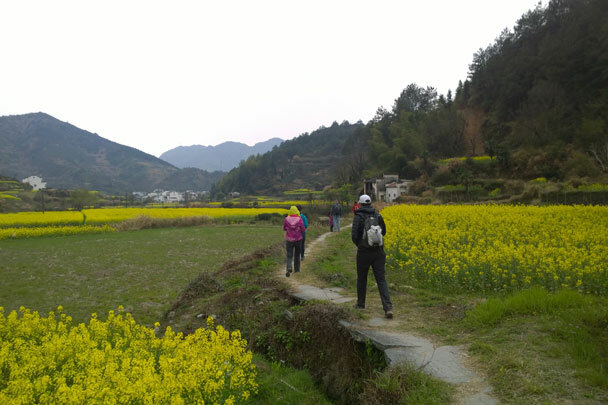 Hiking over to the next village. 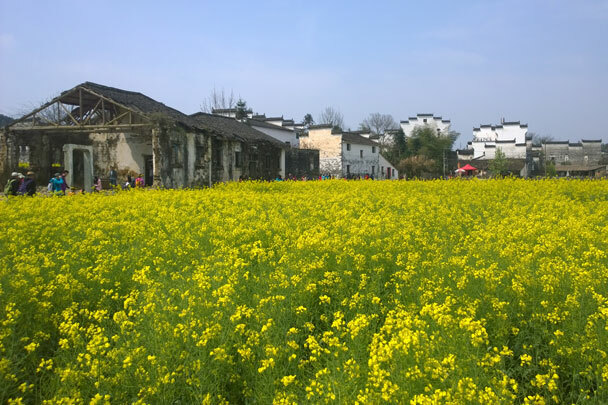 Fields of flowers at the next village. 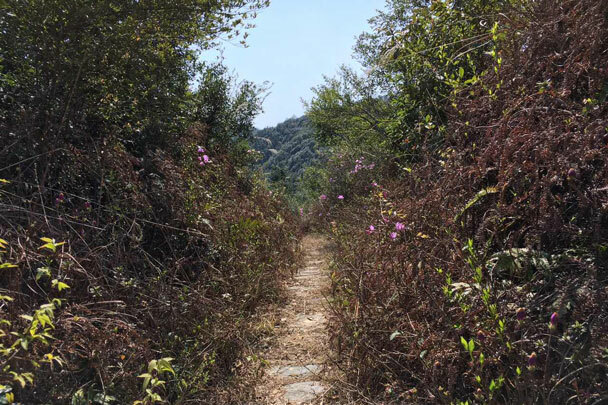 A narrow trail over a hill. 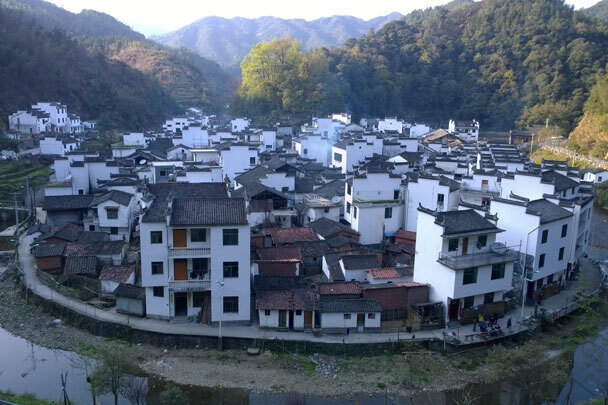 The canal loops around this village in a horseshoe shape. 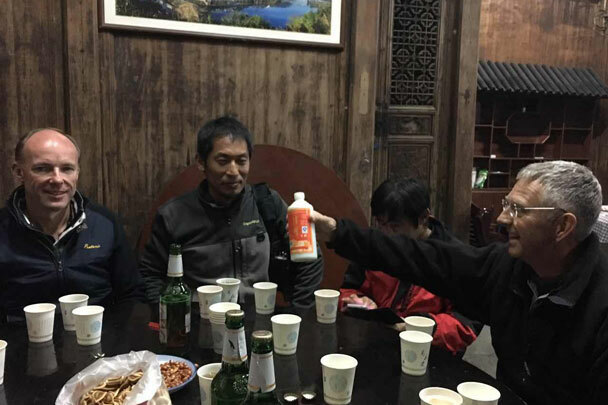 Uh-oh – they’re breaking out the baijiu! 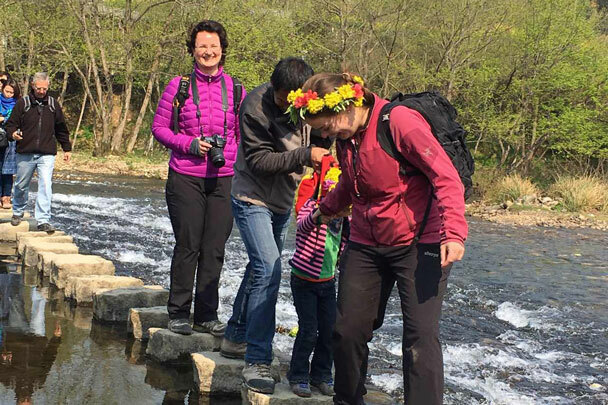 We saw a group on the stepping stones below. 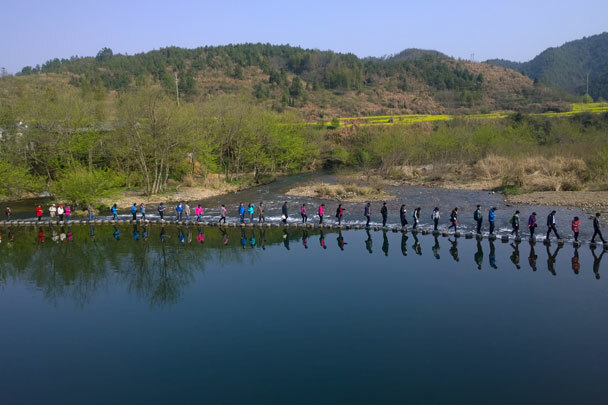 We crossed too – don’t fall in! 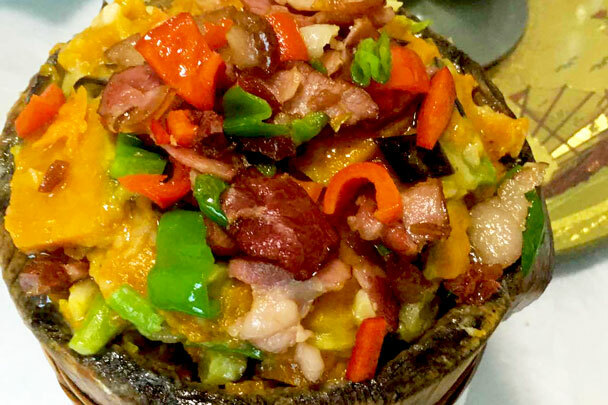 The bucket is heated from below, keeping the baby warm. 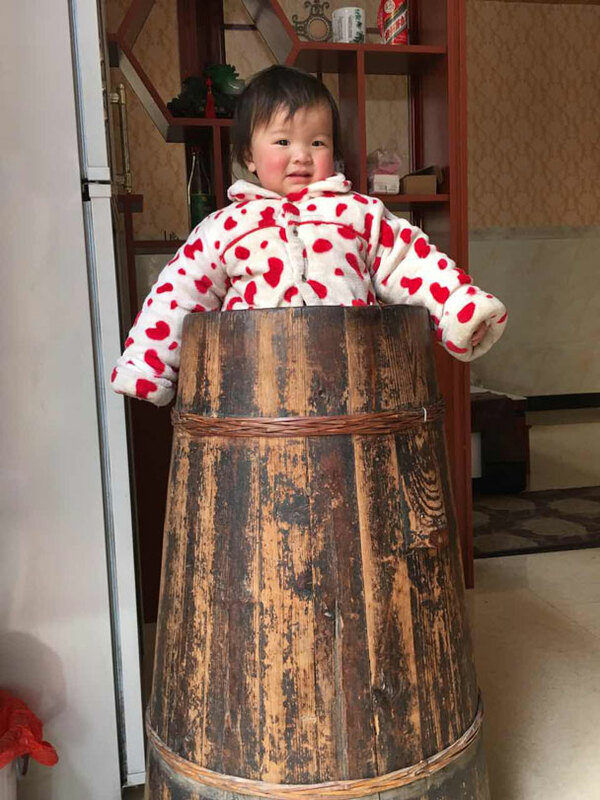 The bucket also keeps the baby from getting up to mischief! 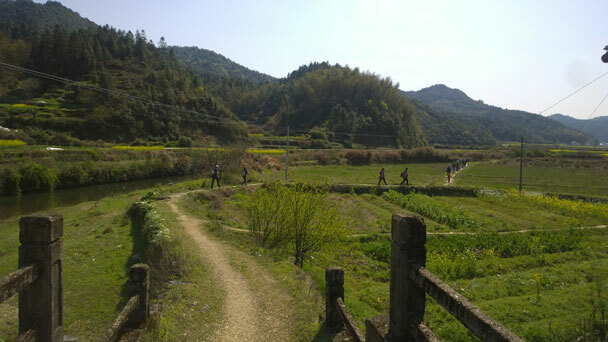 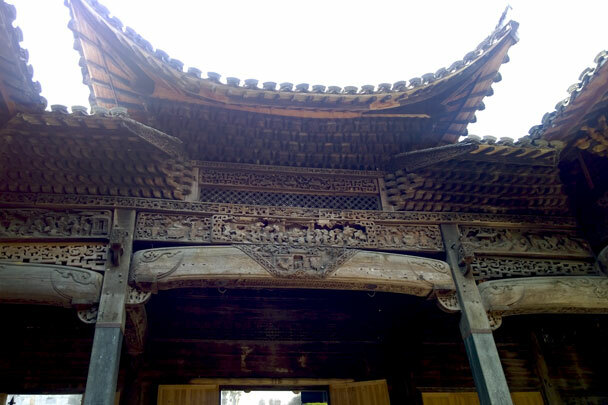 We took a hike in the Jiangling Mountains. 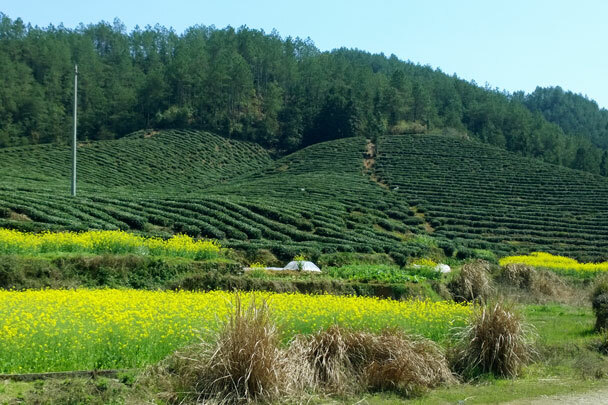 Views from up in the hills. 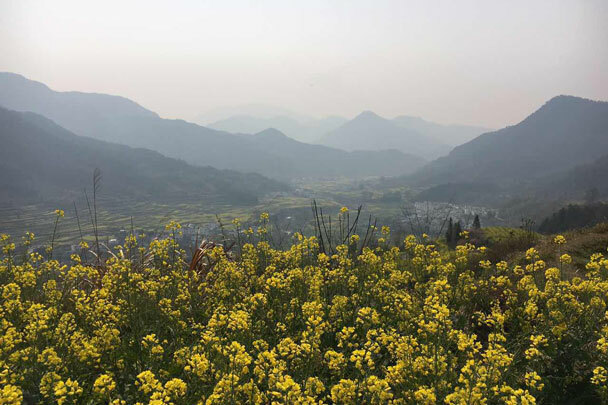 Jiangling is where you find the most flowers: the flat land is full of fields, and the mountains are also terraced. 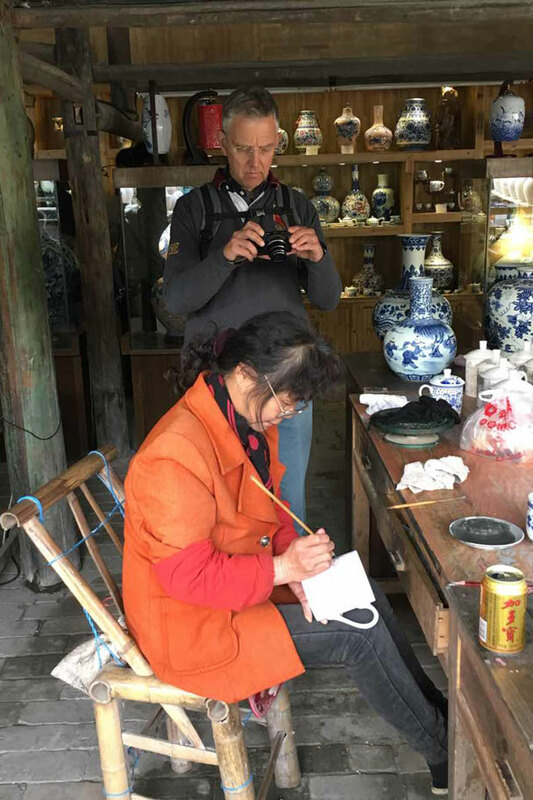 In Jingdezhen we went for a look at the porcelain factory. 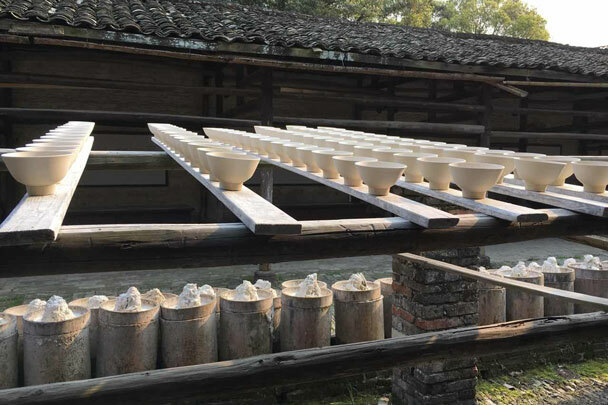 Drying the bowls before firing. 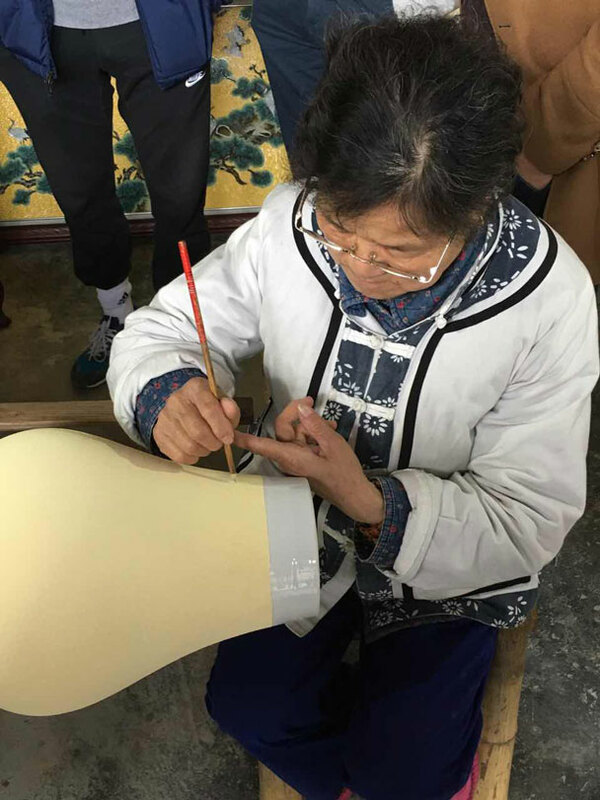 Carving decorations on the vases. 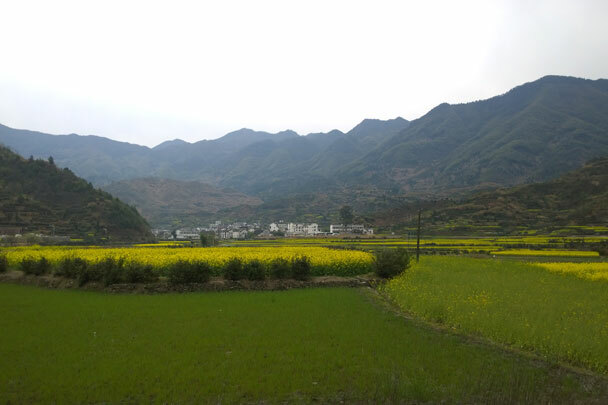 In Brief: Twenty-three photos from the hike from Hemp Village to Gubeikou.